Ever dream of quitting your 9-5 job to do your own thing? How about manufacturing your own product and selling it direct to consumer? That's what Kyle Bardouche did. But get this, he launched 7 different products in 3 months. That's crazy, right? It gets crazier. 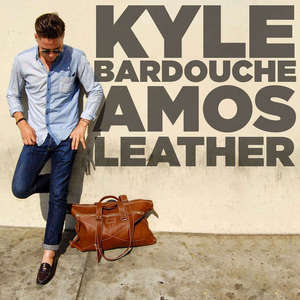 Kyle was selling his products on Etsy, and ended up in GQ. Most people would be happy with that level of success, but Kyle then cracked the code on Instagram advertising. It's a great story, filled with actionable marketing advice, and loaded with inspiration. Give it a listen and be sure to checkout Amos and especially their whiskey wallets.